Well it seems that if you blinked you will have missed summer. Autumn is well and truly on its way and with that the plum tree in our garden seems to be past its best. I always feel it’s a waste if I don’t manage to use at least some of its fruit. It is a yellow plum tree so can it be tricky to find recipes. 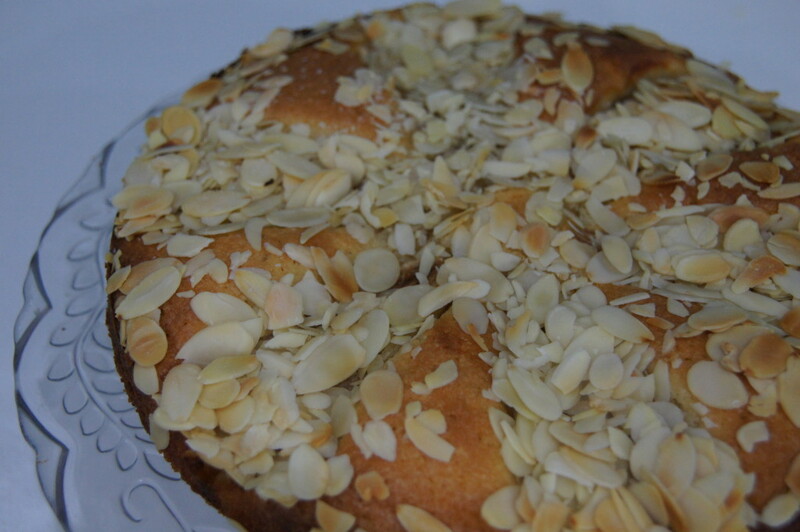 In the past I have made jam using the fruit which I then used in a Victoria sponge and an almond and plum slice. I was determined that this year I would use some of the fruit in a bake. 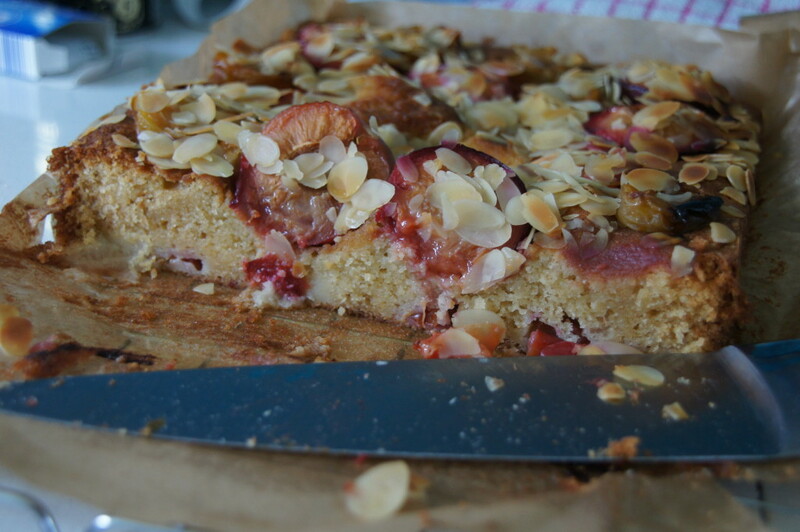 I had spotted this Delicious Magazine recipe a while ago and saved it to my Pinterest page as it used yellow plums and decided it was time to give it a go. I made this over a month ago but have only just got round to posting it – my computer wouldn’t show me images when I put the SD card from the camera in so it made it tricky to finish it. Luckily my Dad came to visit a few weeks ago and sorted it out for me – thank goodness for dads! At the time I seemed to be eating a lot of cake (although that hasn’t really changed!). I think I was making up for lost time when I couldn’t eat that much when I was pregnant or it’s all the extra calories I was burning running around after two little people (and still am burning!) I had been fancying some banana bread so when we had some very brown bananas (Mr Birdie nearly through them in the bin!) I decided it was time for some more baking. 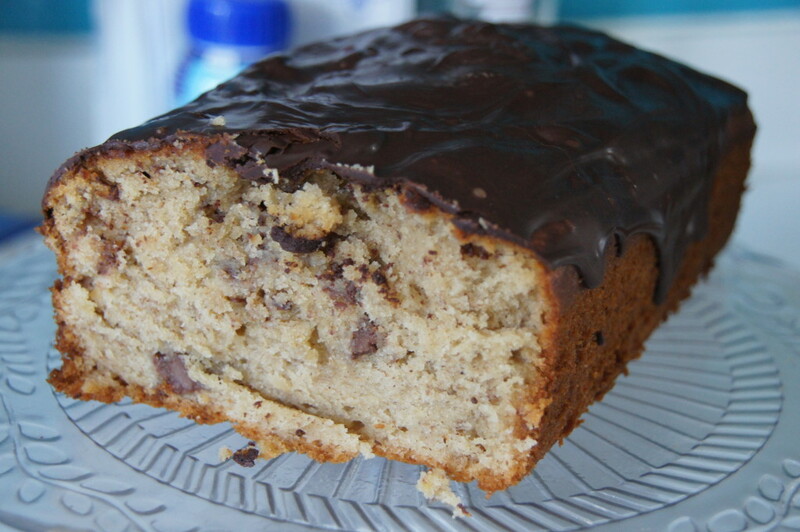 I’ve made many different banana bread recipes before and banana and chocolate is always a winning combination. This recipe would be perfect for baking with children as you use a yogurt pot to measure most of the ingredients so there’s no need for scales. It’s quite good fun measuring everything out and would be ideal for little hands who aren’t used to working with scales. It’s a recipe from Delicious Magazine. Back in November and December when I was pregnant with the twins we went to our local NCT ante-natal classes. We were very lucky to be part of a group that get on well and ever since we’ve been having regular meet ups. It’s been a really positive experience as we share our ups and downs and recommend various different baby groups to each other. 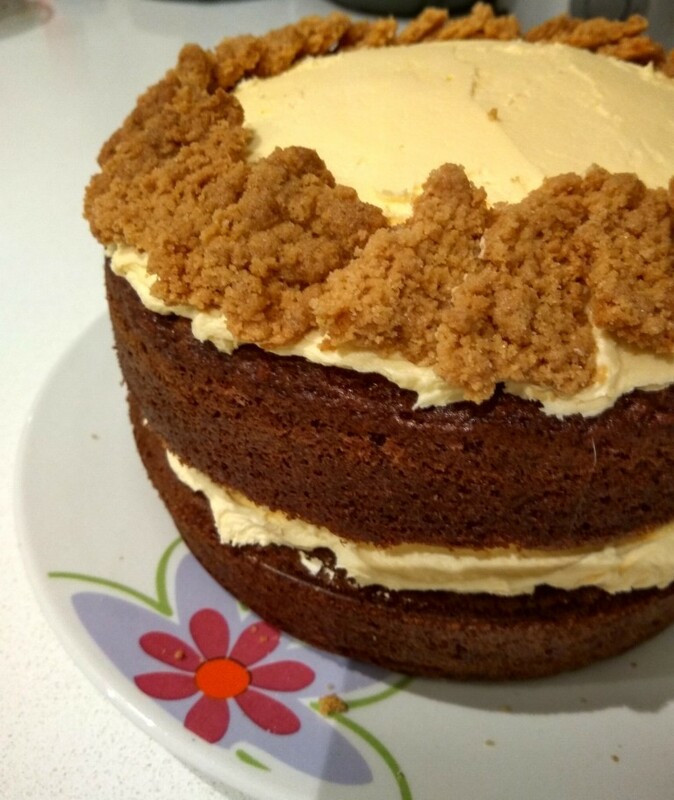 I offered to host our weekly gathering this week and thought it was the perfect opportunity to get back in the kitchen for a bit more baking. Following on from the lemon meringue cake I made in my last post I had some lemons leftover. 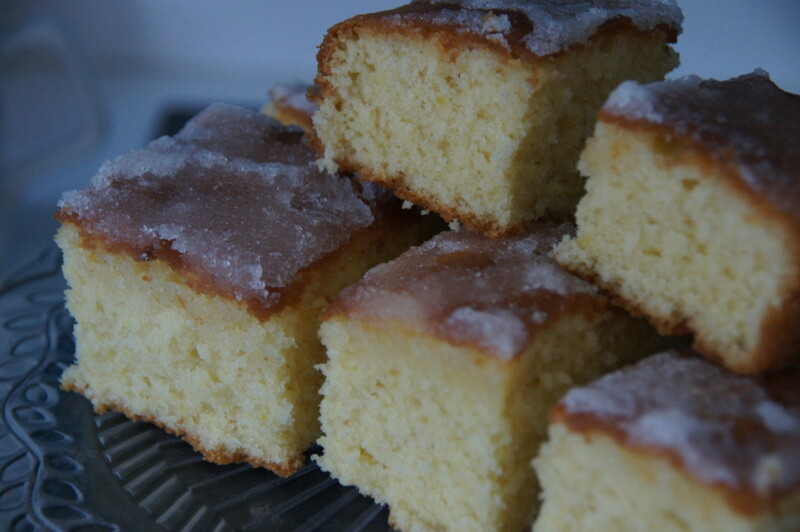 I’d seen this Mary Berry recipe ages ago and decided it was the perfect recipe to use up the leftover lemons. Time flies when you’re having fun. Somehow it is 14 years since I finished my maths and music degree at university. I was lucky at university to end up living with, being on the same course as and joining the same choir as some lovely people and I am even luckier that we are still in touch and try to meet up as often as life will allow us. In the last year our group has expanded considerably with the addition of four babies so it was high time we had a gathering to introduce the new additions and catch up on everyone’s news. 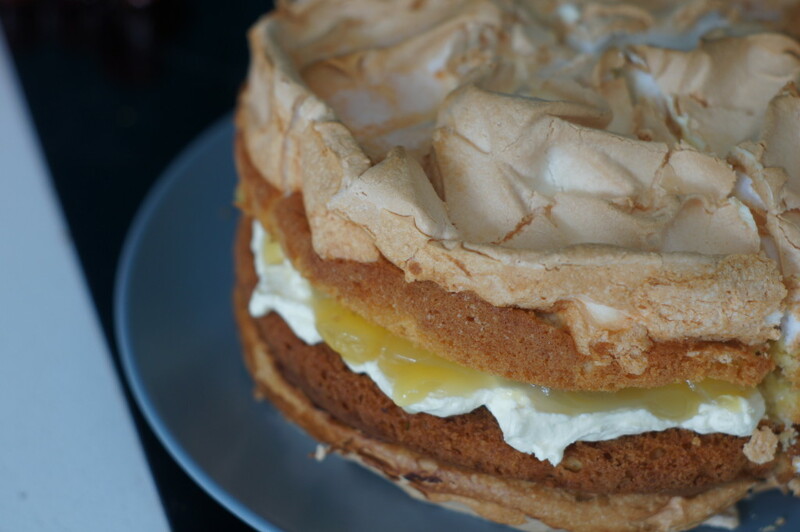 I had planned on making a raspberry meringue cake but when we got to Aldi yesterday rapsberries were £2.79 and lemons were 49p so the decision was made that lemon meringue cake would be the cheaper option! 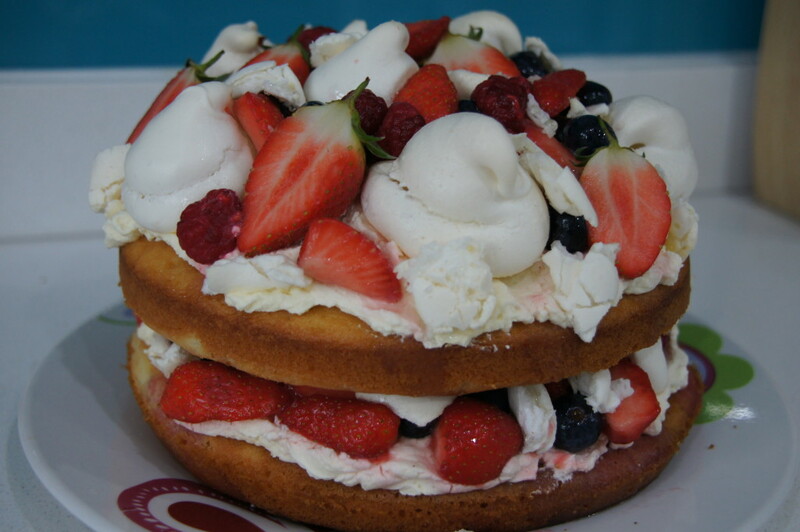 I made this a couple of weeks ago as a Friday treat for us at work. As I’ve said many time before I do love banana cake and this was no exception. 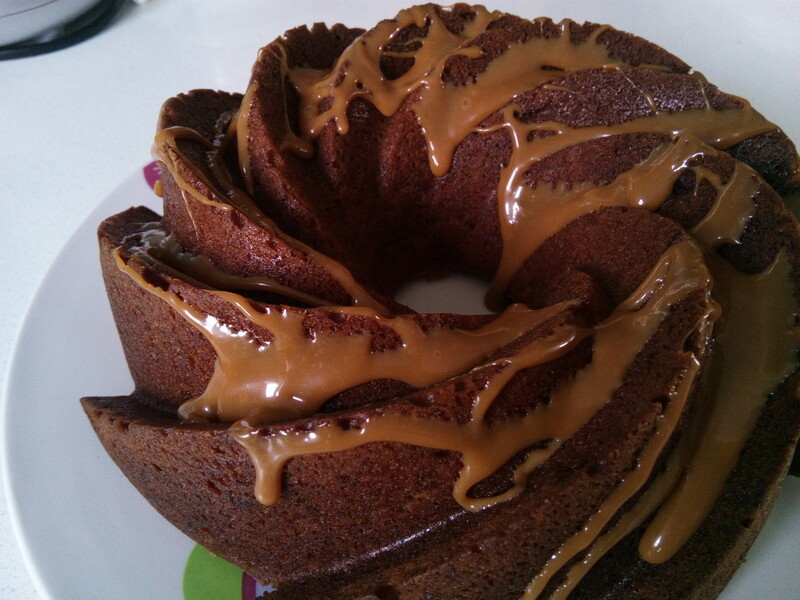 I did seem to manage to eat quite a few slices of this banana and caramel bundt cake (my excuse being I’ve been burning lots of calories with my Moonwalk training!). 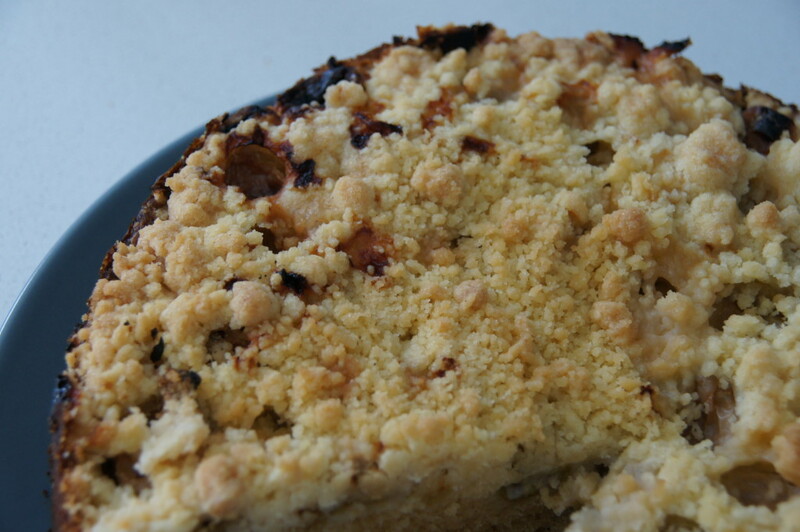 This is a lovely moist banana cake that visually looks very impressive. 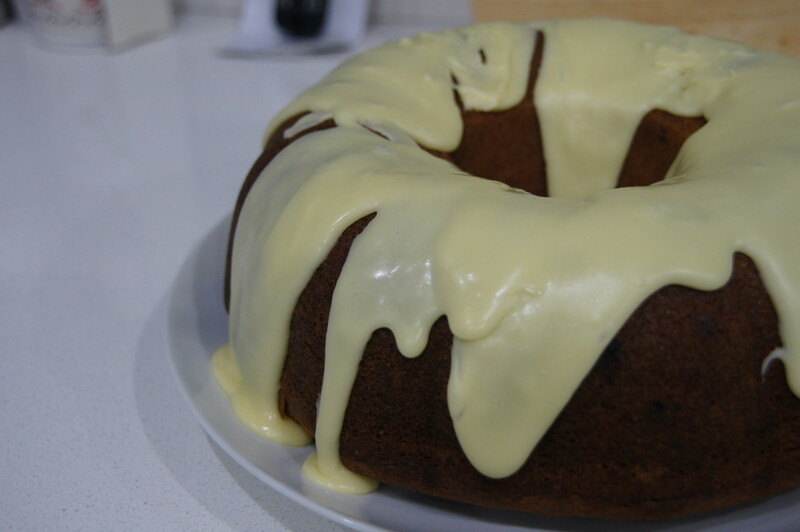 I’ve not used my Nordicware Heritage bundt tin very much; every time I use it it reminds me I really should use it more often as anything baked in it always looks so good. This is Delicious Magazine recipe. 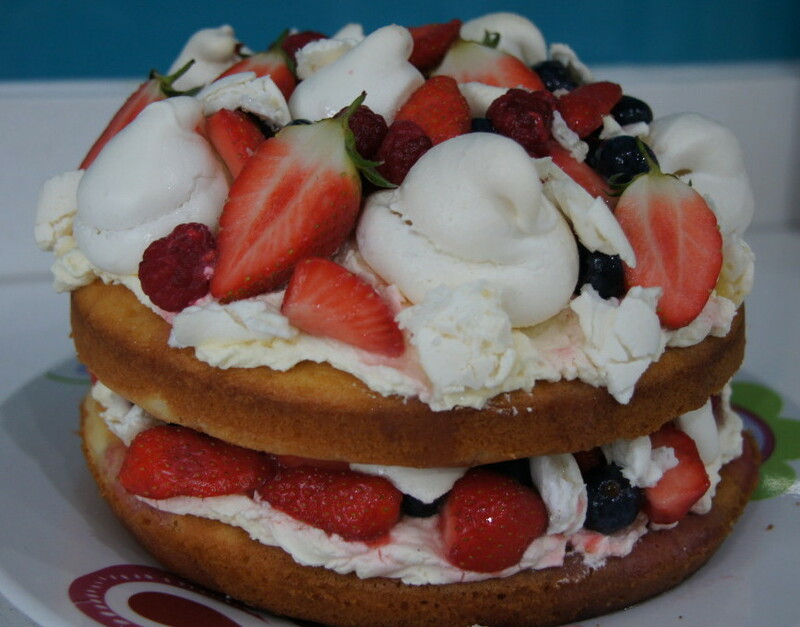 You can use any 2.4 litre bundt tin. So it was back to work this week after two weeks of being a lady of leisure. To help ease my colleagues and I back into work I decided cake was needed. As I had some cranberries that needed using I opted to make this cranberry bundt cake. Last year I made this glazed cranberry lemon bundt around the same time as I had some cranberries left over after Christmas. I found this recipe online and as with a lot of bundt recipes it is American so the quantities are in cups. I’ve included some conversions but if you’re in need of some more precise amounts you might find this website useful.